Tickets go on sale this Friday, April 5. 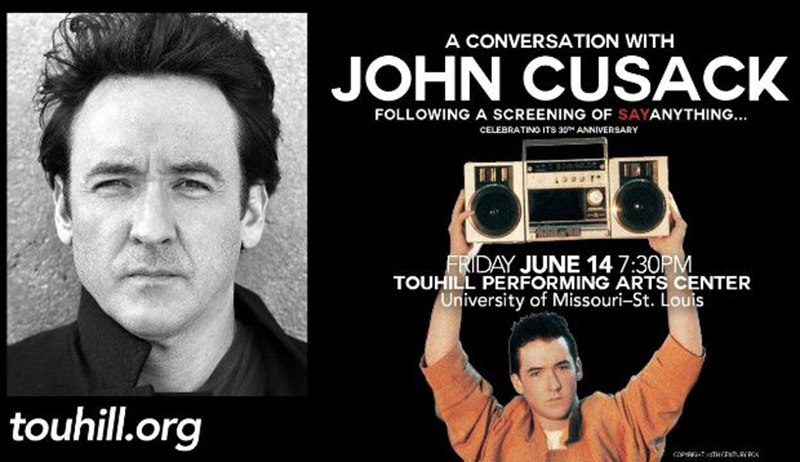 On Friday, Jun 14, John Cusack will be in town to discuss his career and one of his most beloved films – Say Anything. The screening and Q&A will take place at the Touhill Performing Arts Center. Cusack starred as Lloyd Dobler in the 1989 film directed by Cameron Crowe. 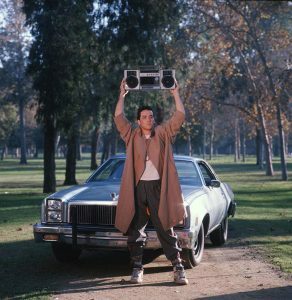 It features the iconic movie moment where Cusack holds the boombox over his head, blasting “In Your Eyes” by Peter Gabriel, in an attempt to save his relationship. Now, join John Cusack for a screening of Say Anything followed by a LIVE conversation regarding his career and the making of Say Anything. Roger Ebert called the movie “one of the best films of the year” when it was released. Fans will now get the opportunity to experience a moderated discussion, with John answering audience questions as well. A limited number of VIP gold circle seats will be available that also include a post-show photo op with John himself. Ticket prices start at $39.75, with a limited amount of VIP gold circle seats available (which include a post-show photo op with John Cusack). For more information and tickets, visit touhill.org.